I received my Ph.D. in Computer Vision at Linköping University in 2017. My research interests include object recognition, visual attention and vision for humanoid robotics. Marcus Wallenberg, Per-Erik Forssén, "Embodied Object Recognition using Adaptive Target Observations", Cognitive Computation, 2(4): 316-325, 2010. In this paper, we study object recognition in the embodied setting. More specifically, we study the problem of whether the recognition system will benefit from acquiring another observation of the object under study, or whether it is time to give up, and report the observed object as unknown. We describe the hardware and software of a system that implements recognition and object permanence as two nested perception-action cycles. We have collected three data sets of observation sequences that allow us to perform controlled evaluation of the system behavior. Our recognition system uses a KNN classifier with bag-of-features prototypes. For this classifier, we have designed and compared three different uncertainty measures for target observation. These measures allow the system to (a) decide whether to continue to observe an object or to move on, and to (b) decide whether the observed object is previously seen or novel. The system is able to successfully reject all novel objects as “unknown”, while still recognizing most of the previously seen objects. Marcus Wallenberg, Per-Erik Forssen, "Attentional Masking for Pre-trained Deep Networks", Proceedings of IEEE/RSJ International Conference on Intelligent Robots and Systems (IROS17), 2017. The ability to direct visual attention is a fundamental skill for seeing robots. Attention comes in two flavours: the gaze direction (overt attention) and attention to a specific part of the current field of view (covert attention), of which the latter is the focus of the present study. Specifically, we study the effects of attentional masking within pre-trained deep neural networks for the purpose of handling ambiguous scenes containing multiple objects. We investigate several variants of attentional masking on partially pre-trained deep neural networks and evaluate the effects on classification performance and sensitivity to attention mask errors in multi-object scenes. We find that a combined scheme consisting of multi-level masking and blending provides the best trade-off between classification accuracy and insensitivity to masking errors. This proposed approach is denoted multilayer continuous-valued convolutional feature masking (MC-CFM). For reasonably accurate masks it can suppress the influence of distracting objects and reach comparable classification performance to unmasked recognition in cases without distractors. 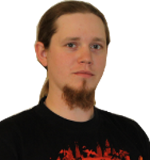 Marcus Wallenberg, Per-Erik Forssén, "Improving Random Forests by Correlation-Enhancing Projections and Sample-Based Sparse Discriminant Selection", Proceedings 13th Conference on Computer and Robot Vision CRV 2016, 222-227, 2016. Random Forests (RF) is a learning techniquewith very low run-time complexity. It has found a nicheapplication in situations where input data is low-dimensionaland computational performance is paramount. We wish tomake RFs more useful for high dimensional problems, andto this end, we propose two extensions to RFs: Firstly, afeature selection mechanism called correlation-enhancing pro-jections, and secondly sparse discriminant selection schemes forbetter accuracy and faster training. We evaluate the proposedextensions by performing age and gender estimation on theMORPH-II dataset, and demonstrate near-equal or improvedestimation performance when using these extensions despite aseventy-fold reduction in the number of data dimensions. Marcus Wallenberg, Per-Erik Forssén, "Teaching Stereo Perception to YOUR Robot", British Machine Vision Conference (BMVC12), Surrey, UK, 3-7 September, 1-12, 2012. This paper describes a method for generation of dense stereo ground-truth using a consumer depth sensor such as the Microsoft Kinect. Such ground-truth allows adaptation of stereo algorithms to a specific setting. The method uses a novel residual weighting based on error propagation from image plane measurements to 3D. We use this ground-truth in wide-angle stereo learning by automatically tuning a novel extension of the best-first-propagation (BFP) dense correspondence algorithm. We extend BFP by adding a coarse-to-fine scheme, and a structure measure that limits propagation along linear structures and flat areas. The tuned correspondence algorithm is evaluated in terms of accuracy, robustness, and ability to generalise. Both the tuning cost function, and the evaluation are designed to balance the accuracy-robustness trade-off inherent in patch-based methods such as BFP. Marcus Wallenberg, Michael Felsberg, Per-Erik Forssén, Babette Dellen, "Leaf Segmentation using the Kinect", Proceedings of SSBA 2011 Symposium on Image Analysis, 2011. Segmentation is an important preprocessing step in many applications. Purely colour-based segmentation is often problematic. For this reason, we here investigate fusion of depth and colour information, to facilitate robust segmentation of single images. We evaluate segmentation results on data collected using the Microsoft Kinect peripheral for Xbox 360, using superparamagnetic clustering. We also propose a method for aligning and encoding colour and depth information from the Kinect device. As we show in the paper, the fusion of depth and colour information produces more semantically relevant segments for scene analysis than either depth or colour separately. Marcus Wallenberg, Michael Felsberg, Per-Erik Forssén, Babette Dellen, "Channel Coding for Joint Colour and Depth Segmentation", Proceedings of Pattern Recognition 33rd DAGM Symposium, Frankfurt/Main, Germany, August 31 - September 2, Lecture Notes in Computer Science, Vol. 6835, 306-315, 2011. Segmentation is an important preprocessing step in many applications. Compared to colour segmentation, fusion of colour and depth greatly improves the segmentation result. Such a fusion is easy to do by stacking measurements in different value dimensions, but there are better ways. In this paper we perform fusion using the channel representation, and demonstrate how a state-of-the-art segmentation algorithm can be modified to use channel values as inputs. We evaluate segmentation results on data collected using the Microsoft Kinect peripheral for Xbox 360, using the superparamagnetic clustering algorithm. Our experiments show that depth gradients are more useful than depth values for segmentation, and that channel coding both colour and depth gradients makes tuned parameter settings generalise better to novel images. Marcus Wallenberg, Per-Erik Forssén, "A Research Platform for Embodied Visual Object Recognition", Proceedings of SSBA 2010 Symposium on Image Analysis, Centre for Image Analysis Report Series, Vol. 34, 137-140, 2010. We present in this paper a research platform for development and evaluation of embodied visual object recognition strategies. The platform uses a stereoscopic peripheral-foveal camera system and a fast pan-tilt unit to perform saliency-based visual search. This is combined with a classification framework based on the bag-of-features paradigm with the aim of targeting, classifying and recognising objects. Interaction with the system is done via typed commands and speech synthesis. We also report the current classification performance of the system. Marcus Wallenberg, "A Simple Single-Camera Gaze Tracker using Infrared Illumination", Proceedings of SSBA 2009 Symposium on Image Analysis, 53-56, 2009. A single-camera gaze tracker has been created,based on previous implementations by Shih and Liu and Hennessey et al. . The method used is basedon controlled infrared illumination. The implementedsystem has been evaluated on both synthetic and realimage data and found to be capable of estimatinggaze point with an accuracy of approximately 1° visualangle. Marcus Wallenberg, "Embodied Visual Object Recognition", Linköping Studies in Science and Technology. Dissertations, No. 1811, 2017. Object recognition is a skill we as humans often take for granted. Due to our formidable object learning, recognition and generalisation skills, it is sometimes hard to see the multitude of obstacles that need to be overcome in order to replicate this skill in an artificial system. Object recognition is also one of the classical areas of computer vision, and many ways of approaching the problem have been proposed. Recently, visually capable robots and autonomous vehicles have increased the focus on embodied recognition systems and active visual search. These applications demand that systems can learn and adapt to their surroundings, and arrive at decisions in a reasonable amount of time, while maintaining high object recognition performance. This is especially challenging due to the high dimensionality of image data. In cases where end-to-end learning from pixels to output is needed, mechanisms designed to make inputs tractable are often necessary for less computationally capable embodied systems.Active visual search also means that mechanisms for attention and gaze control are integral to the object recognition procedure. Therefore, the way in which attention mechanisms should be introduced into feature extraction and estimation algorithms must be carefully considered when constructing a recognition system.This thesis describes work done on the components necessary for creating an embodied recognition system, specifically in the areas of decision uncertainty estimation, object segmentation from multiple cues, adaptation of stereo vision to a specific platform and setting, problem-specific feature selection, efficient estimator training and attentional modulation in convolutional neural networks. Contributions include the evaluation of methods and measures for predicting the potential uncertainty reduction that can be obtained from additional views of an object, allowing for adaptive target observations. Also, in order to separate a specific object from other parts of a scene, it is often necessary to combine multiple cues such as colour and depth in order to obtain satisfactory results. Therefore, a method for combining these using channel coding has been evaluated. In order to make use of three-dimensional spatial structure in recognition, a novel stereo vision algorithm extension along with a framework for automatic stereo tuning have also been investigated. Feature selection and efficient discriminant sampling for decision tree-based estimators have also been implemented. Finally, attentional multi-layer modulation of convolutional neural networks for recognition in cluttered scenes has been evaluated. Several of these components have been tested and evaluated on a purpose-built embodied recognition platform known as Eddie the Embodied. Marcus Wallenberg, "Components of Embodied Visual Object Recognition: Object Perception and Learning on a Robotic Platform", Linköping Studies in Science and Technology. Thesis, No. 1607, 2013. Object recognition is a skill we as humans often take for granted. Due to our formidable object learning, recognition and generalisation skills, it is sometimes hard to see the multitude of obstacles that need to be overcome in order to replicate this skill in an artificial system. Object recognition is also one of the classical areas of computer vision, and many ways of approaching the problem have been proposed. Recently, visually capable robots and autonomous vehicles have increased the focus on embodied recognition systems and active visual search. These applications demand that systems can learn and adapt to their surroundings, and arrive at decisions in a reasonable amount of time, while maintaining high object recognition performance. Active visual search also means that mechanisms for attention and gaze control are integral to the object recognition procedure. This thesis describes work done on the components necessary for creating an embodied recognition system, specifically in the areas of decision uncertainty estimation, object segmentation from multiple cues, adaptation of stereo vision to a specific platform and setting, and the implementation of the system itself. Contributions include the evaluation of methods and measures for predicting the potential uncertainty reduction that can be obtained from additional views of an object, allowing for adaptive target observations. Also, in order to separate a specific object from other parts of a scene, it is often necessary to combine multiple cues such as colour and depth in order to obtain satisfactory results. Therefore, a method for combining these using channel coding has been evaluated. Finally, in order to make use of three-dimensional spatial structure in recognition, a novel stereo vision algorithm extension along with a framework for automatic stereo tuning have also been investigated. All of these components have been tested and evaluated on a purpose-built embodied recognition platform known as Eddie the Embodied.